Oh sweet, sweet Harper! I am so glad that I not only get to photograph your Baby's First Year Photos, but that I get to see you grow while doing them. 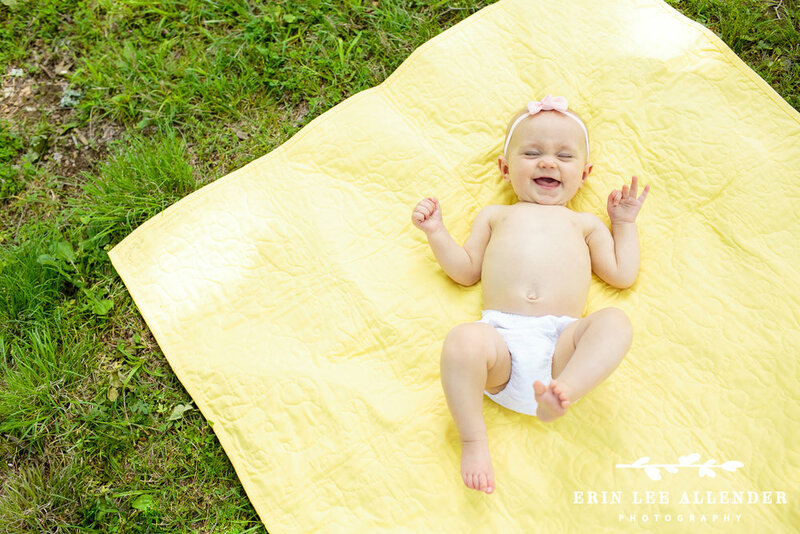 Your 6 month session was so different than your newborn session because you now have a full on personality. Things you found hilarious at the session - "no", "bad dog", "creepy mouse" (when I googled it I became more confused), chewing on mommy's pearls that daddy gave mom at their wedding, and mommy jumping around like a crazy person. You found me curious and you weren't sure about bubbles. We knew the session was over when the last photo in this blog happened. I can't wait to do your 1 year photographs!